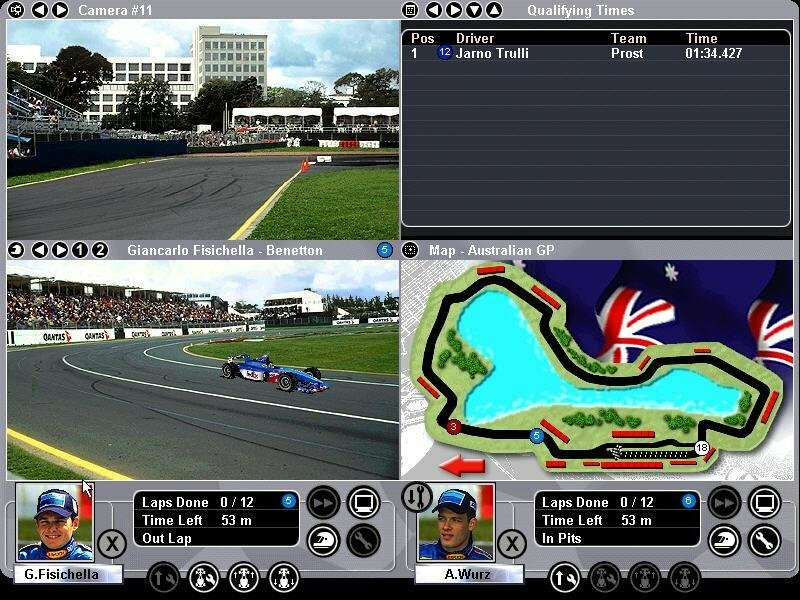 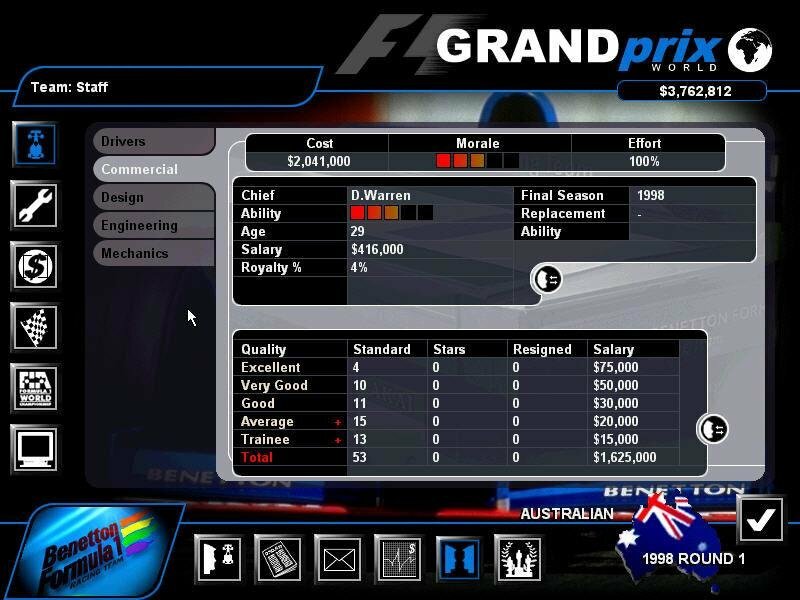 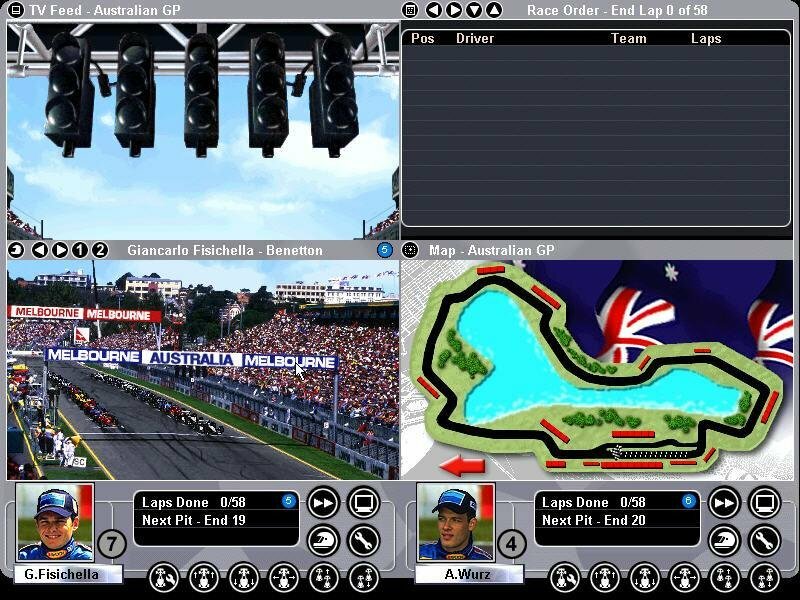 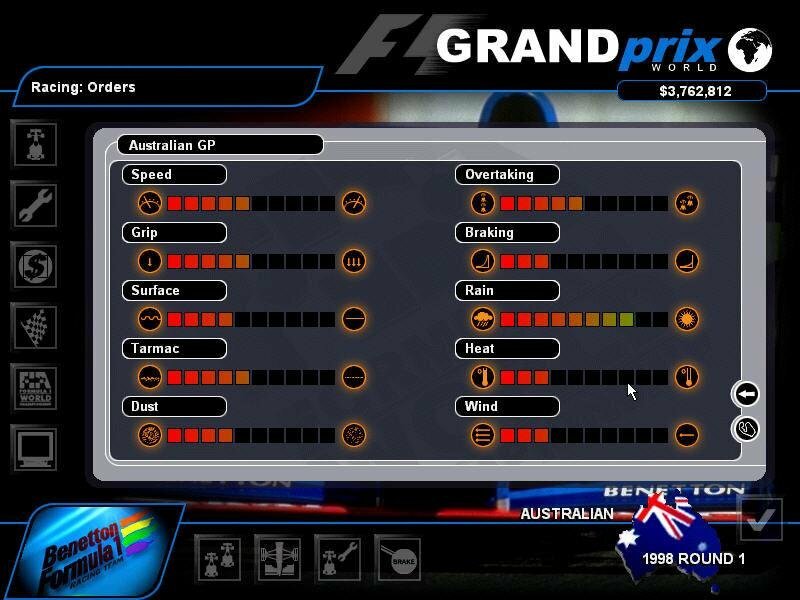 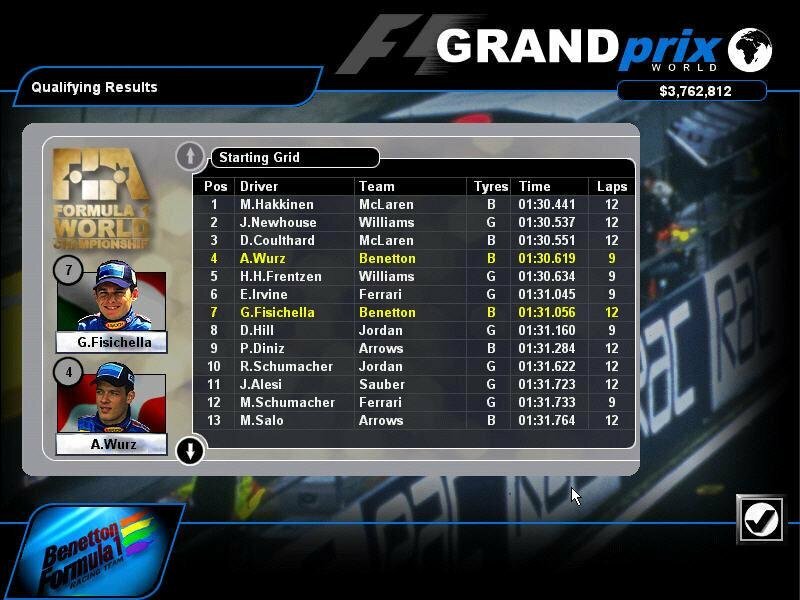 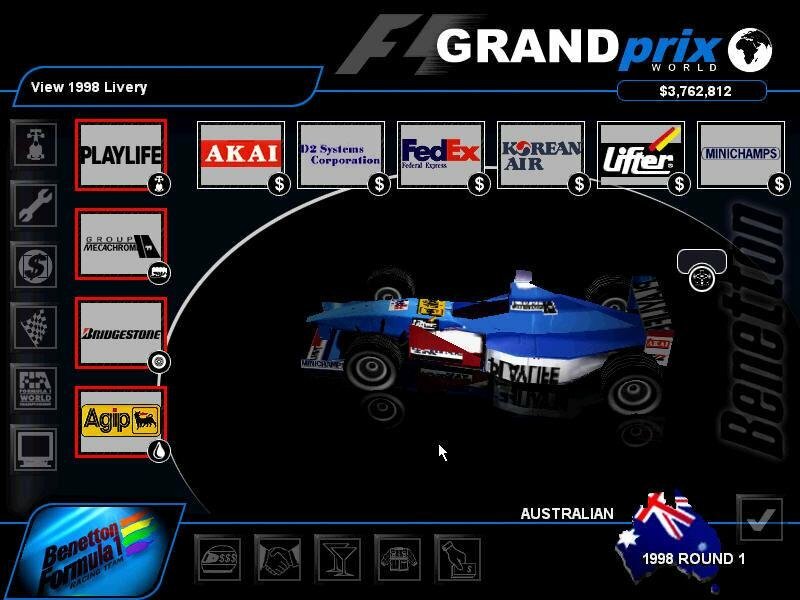 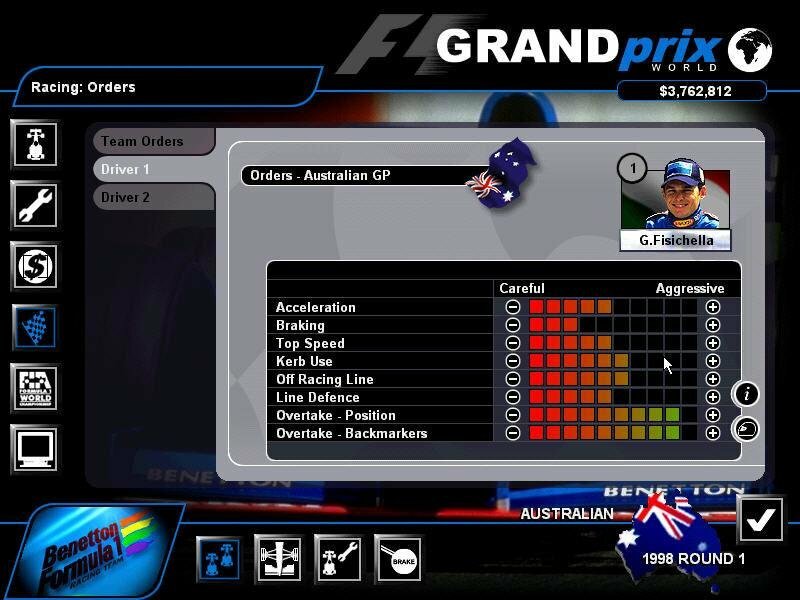 Grand Prix World is an F1 management game where the player can take control of one of eleven available Formula One teams and attempt to win the Formula One Constructor’s World Championship. 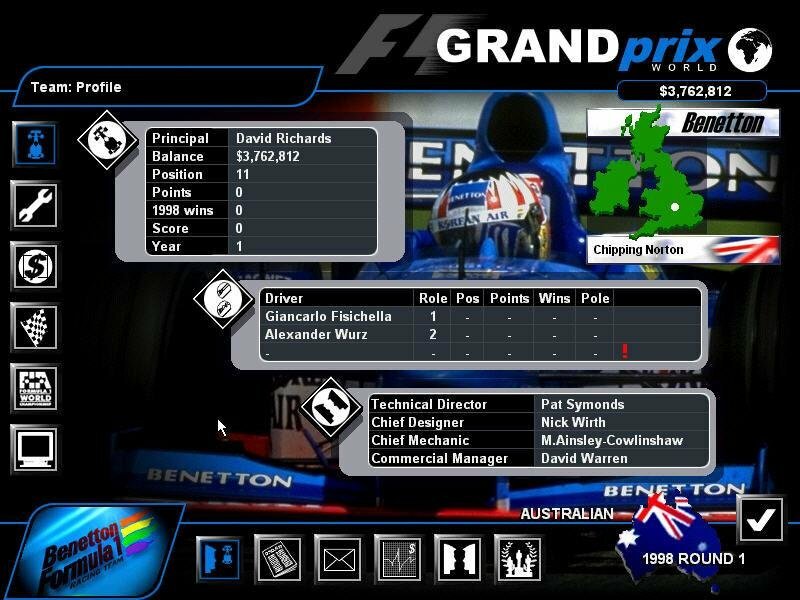 The game starts in the 1998 season and the player has a 10 year career. 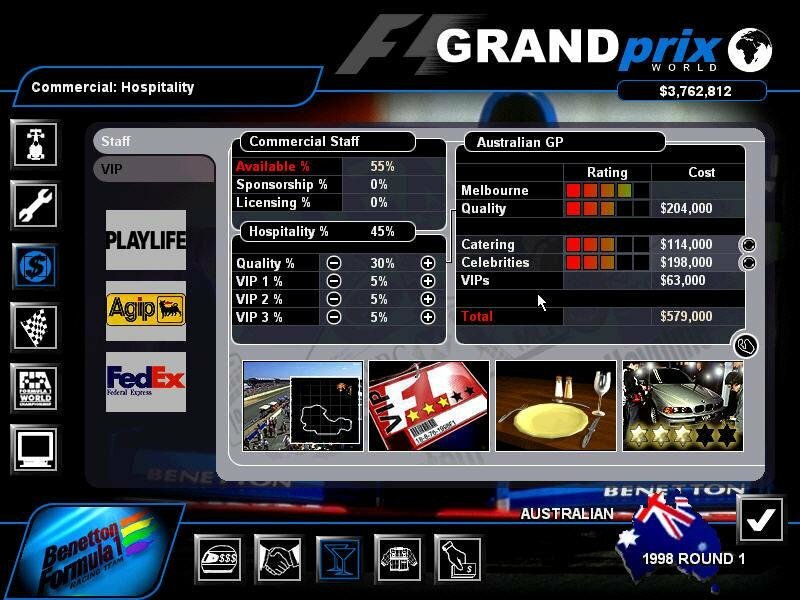 You can engage in a whole range of tasks, like hiring / firing all kind of personnel to run your business, from marketing directors to chief mechanics. 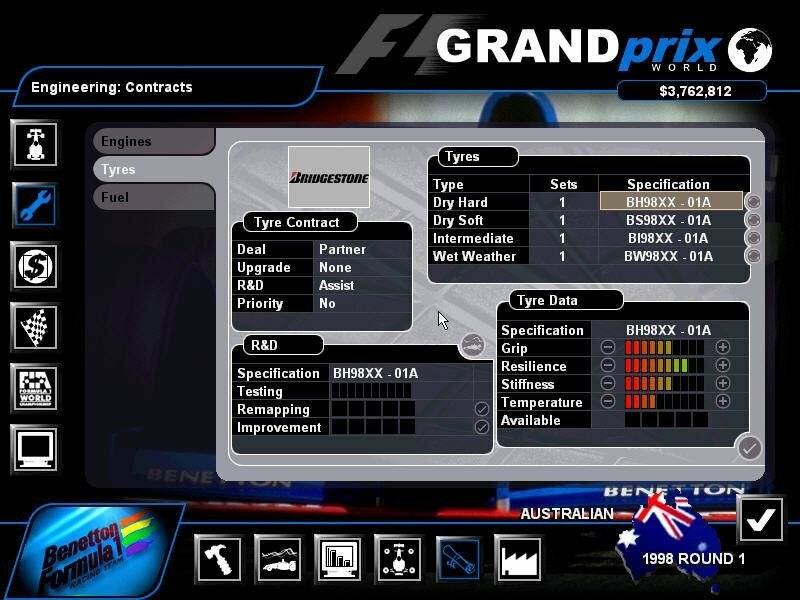 You can arrange sponsorship deals, update your cars and win championships while your drivers race on 16 different tracks, all to the statistical tone of Excel-like spreadsheets.